This cracks me up a little and reminds me a bit too much of myself and this wild, beautiful (sometimes bizarre) blogging life. It has come to my attention that I really want need more humor/lightness in my life so there may be more humor breaks to come. I hope you find something to laugh about today. 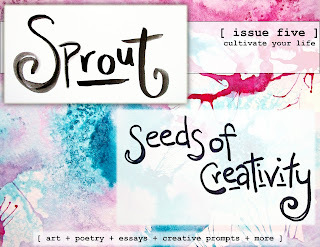 *On another note, Sprout Magazine's 5th issue; Seeds of Creativity is out! My prose Truly Alive and my poem No Matter What are featured in this truly inspiring issue. to sing the song only you can sing. Your voice? It deserves to be heard. It doesn’t matter how you tell your story–only that you do. I'm only a couple of pages in and, already, there are tears. Amanda (and many, many incredible contributors) have created something that just oozes with color and heart and goodness. Curl up with a cup of something hot, kick your feet up and give yourself the gift of this. It will be really really worth it. Click here to get yours. From giggles to sniffles--you know how to get me! Yes, humor is so vital--especially when life is so serious. I'm beyond grateful to laugh every day with my husband. Silliness abounds in this house. 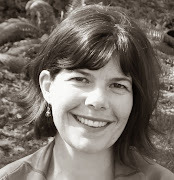 SO delighted to share your beautiful and inspiring contribution in this month's Sprout, Julia . . . oh, your light just shines. Feels SO good to laugh right now! :) Thank you for this. How we know this so well. LOVE! So happy you got a little laugh here, Alia.